Born in Lancashire, England 1941 arrived in the US in 1957. Jack's career paths include being a professional pilot, an air traffic contoller in Chicago Center, a real estate agent and now owner of J R Stone Inc. which designs and makes jackets. He currently serves as Senior Deacon at Paradise Valley Silver Trowel Lodge,Phoenix, Arizona. He is a 32nd degree Scottish Rite Mason and Expert in Chapter Rose Croix. Every Freemason who spends time reading about the history of the craft must eventually ask himself the same questions. When and where did Freemasonry start? How is the craft related to Operative Masons? What happened to the operative Masons? The answers to these questions would require a few more pages than I have space for. However, over the next several issues I will attempt to address these questions. Many brothers are of the opinion that Freemasonry began in 1717 in London. However, when viewed in the wider context of the history of the craft this date has very little to do with anything other than the organization of four lodges in London into a Grand Lodge. This concept being copied in various other countries has resulted in some erroneous claims by my fellow Englishmen that early Freemasonry was a wholly English experience. The medieval guild of Masons to which Freemasonry was grafted did have a long history in England to be sure. Even the word Freemason was first coined in England. The Old Charges which were developed in England and which were later incorporated into Freemasonry have long been used as an argument to support the English claims. But they were not the origins of Freemasonry. No brothers, based on my readings, Freemasonry came into being in Scotland sometime between the death of Robert Cochrane in 1482 and the enactment of the Schaw Statutes in 1598. It is unfortunate that there is no documentary evidence come to light so far that would pinpoint the exact date that Freemasonry started. If there was, many books on the subject would never have been written. That would include of course this minor missive. There is however a significant list of firsts in Freemasonry that point the way. The Schaw Statutes themselves show the earliest attempts at organizing lodges at a national level. It is in Scotland that we find the first non-operative (not actual stonemasons) joining the lodges. Even the Mason Word was a Scottish institution. When the eminent English Masonic Historian Robert F. Gould wrote his first History of Freemasonry he first dealt with early Scottish Freemasonry before turning to the English history of the craft. This apparently did not sit too well with his readers as we see in his later The Concise History of Freemasonry it is given a back seat being discussed only after the Story of the Guild in England, Masons Marks and even The Legends of the Craft. In 1944, G. Knoop and G. P Jones two men from my home county of Lancashire England in their book The Scope and Method of Masonic History did attempt to stress the importance of the Scottish contribution to the making of Freemasonry. However, they studied it from their decidedly English perspective and still regarded Freemasonry as an English experience. So it is left to yet another Englishman to set sail and point the bow of our little ship as close to the wind as I can, and sail into yet another controversial storm. The place to begin any story is at the beginning. In history however, you must begin at a point where you can identify the thread of your topic and pick it up from there. In this case, we start with a stone mason who became so popular that a King honored him by making him a noble and on whom he conferred the titles of 'The Earl of Mar' and 'Secretary of State'. The place was Scotland the King was King James III and the time was 1482. The Mason was one Robert Cochrane and he was already the King's Master Mason and might have been the architect of the Great Hall in Stirling Castle. This act demonstrates that it was a Mason who first moved up into upper class of society long before gentlemen of distinction became curious about the craft. This elevation in rank incensed the nobility since they were of the opinion that no man of such low birth should ever be given a title, no matter how much he deserved it. In July 1482 King James assembled his army on the Burgh Muir. When the army reached Lauder, a small town south of Edinburgh, the nobles (led by Archibald Douglas, Earl of Angus) rebelled and seized Cochrane and several others. They hanged Cochrane at Lauder Bridge and, thereafter, imprisoned the King in Edinburgh Castle. By hanging Cochrane, the very nobles who wanted to get rid of him, raised him to the stature of a martyr. Had they left him alone he and the stonemasons might never have attracted the interest and aroused the curiosity of future generations of the upper classes in this craft that had produced such a man. In life, Robert Cochrane built stately edifices. In death, he might have laid the foundation stone of a worldwide fraternity. Of course, that is just my opinion. The sixteenth century is that period of history when man climbed out of the Middle Ages and took his first tentative steps into what we call the Modern Age. It is also the most probable starting point for Freemasonry to have begun. Most researchers point to the Reformation as being the critical event. However, I believe that the ideas behind Freemasonry started a lot earlier. To quote an old adage "Necessity is the mother of invention" and man reaches his highest potential under times of greatest adversary. With this as a premise, I direct your attention to the three inquisitions of the Catholic Church against the spread of heresy. Pope Gregory IX instituted the papal inquisition back in 1231 AD. This was the one that Philip "The Fair" used to get rid of the Knights Templar and later in 1431 it is used to burn Joan of Arc at the stake. Pope Sixtus IV authorized the second inquisition, the infamous Spanish Inquisition, in 1478. In 1521 only the protection of the German prince Kurfursten Friedrich the III, saves a young Augustinian monk named Martin Luther from suffering this same fate. Alarmed by the spread of Protestantism and especially by its penetration into Italy, Pope Paul III in 1542 establishes in Rome the congregation of the Inquisition also known as the Roman Inquisition. The venerable institution of "one man, one vote" is still 330 years in the future and the common man is an indentured servant in the last days of a feudal age. In Rome a new pope takes over the Catholic Church in 1492. His papal name is Alexander VI. He is perhaps better known to many as Rodrigo Borgia, the infamous patriarch of the Borgia clan. He turns the papacy into a brothel as the Church hits a new low. The world is about to change drastically. The fire that Luther will ignite in Western Europe had already been smoldering for hundreds of years. The kindling already laid in place by another German 44 years previously. In 1456 Gutenberg issues the first edition of the Bible printed from movable type in Mainz. Books, those arch-enemies of tyranny, begin to disseminate ideas that awaken the long submerged desires in man for personal freedom. These ideas are no strangers to the Stone Masons. These highly skilled master builders had been working between the two classes for hundreds of years. The nobility seek their skills and expertise but keeps them oppressed and as historic records indicate, rarely pay a fair price for their work. Generation after generation the ruling classes enacts laws restricting the rights of the masons to charge a fair wage. The Peasant Revolt in late 13th century is only one of many such uprisings led by the building trades. Masons, men who can readily grasp the spatial concepts of geometry and conceive designs of structures not yet built were ready repositories for such radical beliefs. The stage is set. But how did non-operative "Freemasons" develop out of this guild of Stonemasons? There are no records that identify this development. No written statement that on this day "James A. Brown" joined the guild and became the first Freemason. Why would there be? It was not important at that time and still has very little significance today. History however, does give us some indication of how it probably happened. Stonemasons were employed by the rich and powerful. They were the only ones who could afford the services of a mason. Since we lower class have a long history of sucking up to our bosses the following conversation is not too hard to imagine. "Here Lad, By Gum, that (wall, castle, etc. .) looks bloody marvelous. I wish I could do that" The noble remarked whilst sitting on 'is 'orse quite proper an' all. In the 16th century Scotland began to appoint Masters of Works The first, Sir Robert Drummond of Carnock, was displaced from an office granted to him for life by King James VI on December 21, 1583 by his loyal friend and fellow closet Catholic William Schaw. On Schaw's death in 1602 the office was filled by David Cunningham of Robertland. On his death in 1607 Master Wright James Murray took the position. In 1629 he and the Second son of Sir William Alexander Anthony shared the office. In 1633 James Murray was Knighted one year before his death and Anthony Alexander became Master of Works and in 1635 he too was Knighted. Whether it was the stress of the office or the frequent attempts by the St Clairs to wrest away control over the Masons Sir Anthony died in 1637. The office falling to his younger brother Henry. All of these men were of noble birth and were not operative masons and perhaps some were even Freemasons. It would take much more space than I have allotted here to delve into the implications of the first and second Schaw Statutes and the first and second St Clair charters. Therefore, I will restrict my comments to the makeup of the craft and the entry of non-operative Masons into it, to the extent that I can do so. The fact that Schaw accepted incorporation deacons should preside in burgh Lodges could be viewed as the price he had to pay to keep peace between the two organizations. The booking of apprentices was the domain of the burgh, only several years later to be followed by initiation into the lodge. A man would also become a master or fellow craft in the lodge before being accepted by burgh and incorporation. The lodge, in fact the craft as a whole, was a hot bed of political intrigue. The Killwinning Lodge demanded they were not just the head lodge but also the number one lodge and not the number two that Schaw relegated them to in his second statutes. When Schaw turned for help to the King to gain royal approval he was rebuffed. Next Schaw turned to the knightly class for support and we find John Boswell lord of Auchinleck in a meeting of the Lodge of Mary's Chapel in June 1600. The next year, Schaw a catholic turned to another catholic for help Sir William St Clair. In 1590 St. Clair was a significant employer of masons by building a massive project at Roslin castle. What resulted was the first St Clair charter under which Schaw would give up his General Warden position to the Knight in the hope that his reorganization of the masons would be finally gain approval with the king. Unfortunately, Sir William was not the conservative that Schaw was. He battled constantly with the Church of Scotland, flaunted his mistress in front of them and was eventually forced to retire to catholic Ireland in 1617. While Schaw had been a supporter of St Clair his successors in office were violently opposed. By the time his son Sir William the younger took up the fight for St Clair authority over the masons producing the second St Clair charter the political turmoil was heated up. In 1634 Sir James Murray and his then junior partner countered by getting the king to give them signed authority over not just masons but every trade that was even remotely involved in building. This support by the young British Stuart King Charles of the Master of Works in Scotland was I believe part of the solidifying process of the new secret Fraternity of Freemasons. I will address the subject in more depth later on. Anthony Alexander then arranged for himself, his brother Viscount Canada and Sir Alexander Strachan to become members of the Lodge of Mary's Chapel in Edinburgh on July 3rd 1634. 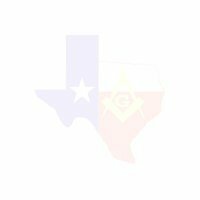 By this move he showed interest in the Masonic affairs of the lodge, flattered the masons and started the steady increase in the affiliation of the lodges by non-operative masons. Henry Alexander, the third son of the earl of Stirling became a brother in 1638 and in 1640 Alexander Hamilton, General of Artillery was received as a fellow and master of the craft. What had started out as a political maneuver was fast becoming a trend and for reasons that went far beyond the St Clairs. By the mid-seventeenth century civil wars in Scotland and England broke out and the entire British Isles was at war with itself. With the restoration of the monarchy in 1660, Charles II appointed William Moray, brother to Sir Robert Moray, as sole master of works, overseer and director general of his majesty's buildings in Scotland. He was knighted shortly thereafter. In part five, we will revisit the Moray brothers and their work on behalf of the Stuart kings and in the case of Sir Robert Moray, Freemasonry. Of all of the Masters of Works one towers above the rest, William Schaw. He gave the masons a Lodge System that would survive the test of time. In David Stevenson's Origins of Freemasonry he states "it is highly probable that these rituals themselves and the values and beliefs they enshrined, also owed much to Schaw." None of these events took place in quiet isolation. The seventeenth century saw the joining of England and Scotland under one king, civil and foreign wars, fire and plague and the execution of a king in his own land. In Britain kings would move from absolute power to being a figurehead. Brought to heel by the power of parliament. Next, we turn south to England to look at the Stuart kings and the actual birth of the Fraternity from which modern Freemasonry grew. Actually we get there when there are less than 40 members in the fraternity which is as close to the beginning as we can get at this point. Elizabeth I died without ever marrying and in 1603, James VI of Scotland son of Elizabeth's sister, Mary and already a ruler for more than 35 years, became King James I the first Stuart king of England. In Scotland he had been the head of Episcopalian Church. Now, as King James I of Britain he was now head of the Church of England not exactly the place you would expect to find the son of a Catholic queen. James was an able theologian, and proved himself very tolerant in terms of religious faith. His King James's Version of the Bible is still the standard used today. From his speeches in Parliament we see him reaching out for support he never got. When Guy Fawkes was arrested attempting to blow up both King and Parliament, James urged his people not to hold all Catholics responsible for the acts of the "poor wretch" . His choice of words indicates that maybe the King suspected that the entire "Gunpowder Plot" episode was concocted by his enemies to set the people against the Catholics and other non-conformists. In that regard the plot worked only too well. The next year a group of separatists left England in search of religious freedom in Europe only to petition the king in 1619 to allow them to have safe passage back to England so they might charter a boat to America. King James agreed and in 1620 the Mayflower set sail. It was the beginning of a struggle by Parliament to gain control of the country from the power of the King. Their tactic was simple, refuse to provide income for the crown until they gained a strong voice so in everything the king did. This ended up with the King dissolving Parliaments one after another while foreign policy became non- existent. In the midst of all this turmoil the crown prince Henry died leaving a very unprepared prince Charles next in line for the throne. There are no records to show what steps the king took to prepare and protect the prince. We do know that under the influence of the Duke of Buckingham , a man many feel is responsible for England's participation in the 30 years war, things went from bad to worse. By 1623 James had been a king for 56 years. It is inconceivable that he did not know the problems facing his son. Any father in his position would have reached out to his most loyal retainers to seek help in protecting his son as he ascended to the crown. In 1625 King James I died and King Charles I took the throne. Three years later we see clear evidence that such an organization did exist within in the court. David Stevenson in the Origins of Freemasonry mentions that in 1628 Sir David Cunningham, an officer in the Court of King Charles wrote his namesake in Scotland telling him that as the 40th member of a secret fraternity loyal to the king, he was to avoid all manner of excesses, riot and disorder. In addition, he tell his relative that the enclosed badges of the noble brotherhood were to be worn on their hatband until they meet in six months when they shall be exchanged. The relative to whom the letter was addressed was none other than David Cunningham of Robertland, whose father had succeeded William Schaw as Master of Works in 1602. It is interesting to note that all Masters of Works were Knighted from 1628 on and in 1717 Freemasons in England wanted to be lead by nobles as they had before. This is also the first known mention of a secret fraternity with direct connections to operative masons and The Master of works. It also corresponds with the entry into the Scottish lodges of nobility beginning in 1634 and to the support by the king of the Master of Works against St. Claire. To me, the chain of coincidence is too great. However, to be successful the king needed help from his English subjects. Who in England would be willing to help a Scottish king? There was one group of men who were only too happy to help. For more than a 100 years masons had been prosecuted by the Tudor monarchs. In Fact, Henry VIII had abolished all of their guilds except the powerful London Company. Here were men who would gladly serve a Stuart king whose family held the craft is such high esteem. Masonry had gone from England to Scotland 400 years earlier and now Scotland brought Freemasonry to England. Freemasonry however, did not belong to either country it was and still is a Masonic creation. From what records we have of these early Freemasons they all share one commonality. They were soldiers. Men willing to die for their beliefs to take whatever risks were needed to keep a kingdom from descending into the tribal warfare that was tearing at the heart of Europe. On one occasion with over 50,000 men facing each other war was averted due to the actions of the fraternal brothers on both sides of the conflict. The place was Newcastle and the time was 1641and in the middle of it all, generals from both sides met to initiate a Covenanter general into the fraternity. He was Sir Robert Moray, professional soldier, spy, statesman, knight, Freemason and we meet him next. Before becoming a Freemason and Statesman, Robert Moray was first a professional soldier of great ability. He Served with the Scottish Foot Guards in France during the most destructive religious war ever to engulf Europe. During the 30 Years War, he rose to the level of full Colonel before he was 30. Here amid the carnage his ability to meet people on the level and gain their trust and confidence drew men to him. A natural leader of men, he came to the notice of the French Prime Minister Cardinal Richelieu. Moray, according to Alexander Robertson’s book The Life and Times of Sir Robert Moray: Solder, Statesman and Man of Science, became the Cardinal’s agent and after Richelieu’s death was an agent for the Jesuit educated Cardinal Mazarin who ruled France until his death in 1661.Was Moray a secret Catholic carrying messages between the Catholic Cardinal and King Charles? Whatever his beliefs were, he was able to subdue them to the higher cause of peace, harmony and brotherly love. He seemed to have no enemies and many friends, a rare occurrence in a savage time. The initiation of Moray into the Edinburgh Lodge is extraordinary not only in view of time and place, a castle awaiting a battle, but in light of those who were present. James Hamilton 1st Duke of Hamilton who had raised the army of Scots that had gone to France. He was also privy councilor and in 1638 he was the Crowns commissioner in Scotland trying to conciliate the Covenanters. At the time of the initiation he was leading the kings army against them. Yet here he is, miles way from his troops and in the company of two Covenanter Generals, Moray and Alexander Hamilton and the son of the Master Mason to the Crown John Mylne. These men separated by loyalty but united by masonry were a mix or operative and non-operatives masons. They were as Sir Robert Moray describes himself Freemasons. It is also interesting to note that following this initiation the much anticipated battle between the king and the Covenanters did not happen. It was resolved by negotiation. Unfortunately space does not permit an in-depth look at Sir Robert Moray. It would take me six months of articles to cover the subject. I do recommend chapter 7 in Stevenson’s The Origins of Freemasonry. This chapter details some of his Freemason activities on behalf of the King. It also gives the story behind his choosing the pentagram from his family crest as his Mason’s Mark. Things did not fare well for the early Freemasons. The fraternity could not protect King Charles from himself. His biggest error was in ignoring the right of the Scottish people to have their own prayer book and worship in their own way. Had he been less prideful and more realistic he would not have lost the Civil War. Despite all of the hoopla, the war turned not on Cromwells model army, in 1643 Charles had been beating them at almost every turn. He began to lose when the Covenants entered the war in 1644 on the side of Cromwell. Turning back to my argument that the secret Fraternity that surfaced in 1628 was indeed Freemasonry let’s recap. In 1628 we see connections of this secret fraternity to the masons of Scotland. In 1641 at Newcastle we see even stronger evidence of a masonic based organization working on both sides of the war ( the same way we see them later in our own civil war). In Moray’s own letters he talks of taking on spy missions in Scotland “. . . playing the mason . . .” writing reports in invisible ink under his masons mark.. In 1643 King Charles knights Moray a Covenanter general, a man with no land to assist the king. Why? What was in it for the king unless it was to reward a loyal subject for his secret work. After the King was defeated in 1645 and captured Moray and his brother William made plans for his escape from Newcastle. The plan was for the king dress as a commoner and escape via a boat that William Moray had brought to the castle wall. The King however was more concerned of being discovered in a disguise than in freedom. He returned to his quarters and was executed in 1649. It was an act of loyalty that was not forgotten by King Charles II and in 1661 William was also Knighted and later became Master of Works. Of course, all of this may be the result of a great many coincidences all coming together at this particular point in time. I choose to believe otherwise. Where there no English Freemasons in the 17th century? Obviously there were. We know of the initiation of Elias Ashmole in 1646 at Warrington in Lancashire but next time I will make a case for the recruitment of Freemasons in a place you might not expect the Roundheads. For an in depth look at the Covenants read A concise History of Scotland by Fitzroy Maclean I am also indebted to Richard S. Westfall, Department of History and Philosophy of Science Indiana University whose outline on Sir Robert Moray pointed me in the right direction. The problem with writing a book where the predetermined goal is to support one position over another is that you usually paint yourself into a corner at some point. This is exactly what David Stevenson does in The Origins of Freemasonry. He builds a case for Scottish Freemasonry’s dominion over English Freemasonry by stating that entered apprentices existed only in Scotland prior to 1700. Here he confuses operative masonry with speculative Freemasonry and fails to take into consideration Queen Elizabeth’s Apprentice Statute on 1563 which made it illegal for any person to enter a craft without first becoming an apprentice. It is a common mistake and easy to make. Just because we do not have a written record of an event does not mean it could not have happened. It only means we do not have a written record of it happening. Sometimes it requires some deductive reasoning and thoughtful conclusions to make sense of events that are not fully documented. For instance, suppose you found coral jewelry in the artifacts of an American Plains Indian tribe. You may not have a written record of any contact with another people who lived close to the ocean. By the same token you can be pretty sure the coral did not get there by itself. All of which brings me to a point I wish to make. In 1776 we know that at least one third of the framers of the American Bill of Rights and Constitution were Freemasons. We also know that the following ideas were well represented in these important documents. Where did these ideas spring from? After doing a considerable amount of research I have concluded that they did not originate in the Highlands of Scotland but from a Lt. Colonel in Cromwell's army. John Lilbourne AKA “freeborn” John. Lilbourne is the only man in the history of England to be put in the Tower of London not once but three times and walk out free on every occasion because the Lords of England could find no Judge or jury to convict him. Read what he has to say for himself and his movement. “Yet thus have we been misconceived and misrepresented to the world, under which we must suffer till God sees it fitting in his good time to clear such harsh mistakes, by which many, even good, men keep a distance from us . . .. Whereas it is said, we are atheists and antiscripturalists, we profess that we believe there is one eternal and omnipotent God, the author and preserver of all things in the world. To whose will and directions, written first in our hearts and afterwards in his blessed Word, we ought to square our actions and conversations.” . . .
One of the amazing aspects of his struggle with Oliver Cromwell was that they were friends and Cromwell actually believed in many of Lilburne’s ideas. For his efforts against the egregious acts of the nobility, Lilbourne was branded a communist and his followers derided as “levellers”. From 1637 when he was but twenty-three years old… until his death twenty years later, he managed to keep his government in a hectic state. In successive order he defied king, parliament, and protectorate, challenging each with libertarian principles. Standing trial for his life four times, he spent most of his adult years in prison and died in banishment. Yet he could easily have had positions of high preferment if he had thrown in his lot with the Parliament of Cromwell. Instead, he sacrificed everything in order to be free to attack injustice from any source. He once accurately described himself as ‘an honest true-bred, freeborn Englishman that never in his life loved a tyrant or feared an oppressor.’ There is no record of Lilbourne ever becoming a Freemason but there is ample evidence that he espoused the same kind of beliefs. Paradise Valley Silver Trowel Lodge #29 Trestle Board August 2003 Page Five The Levellers like the Freemasons, met in Taverns and reading rooms. Was there the opportunity for an exchange of ideas? Could this be how so much of his manifesto for constitutional reform in Britain ended up being so deeply embodied in the U.S. Constitution and Bill of Rights? The answer to this is the same as the one in regards to the coral in my original example. They did not get there by themselves. The one thing we can deduce from the evidence of the Levellers and other groups that flourished at this same time, that is England in the 17th century was a very fertile ground for the growth of Freemasonry. So we come to the close of this series with but one question left unanswered. What happened to the operative masons? Many of the events of the 17th century created a vast separation in styles of architecture in England and Scotland. Brickbuilding was re-introduced to England by Flemish immigrants in the late 16th century and the great Elizabethan homes of this era used this technique to change the earlier fortification style of housing to conspicuous displays of wealth. Building with bricks did not require digging quarries and massive amounts of labor to hew, dress and carry stone blocks to construction sites. Bricks were made right on the spot and came out perfectly square. Much of the science and techniques of the master mason were no longer required. Now semi-skilled tradesmen “cowans”, became bricklayers. Scotland saw the building of castles and fortified houses continue into the 18th century. In fact, fortification became a style in its own right, and the turrets and strongly vertical emphases of Scottish Baronial houses mark one of Scotland's most distinctive contributions to British architecture. The need for Master Stone Masons decreased rapidly in England and the Great Plague and Fire that engulfed London in 1665-6 accelerated this rate. Architect and Freemason, Christopher Wren worked almost entirely with brick in rebuilding St Paul’s Cathedral, Greenwich Hospital and his other works after the great London fire. The heavy handed rule of Cromwell’s Parliament created an ever widening gulf between the classes and bricklayers in England turned from the guild halls to the new trade union movement. By 1700 the Freemasons of England were left with only the traditions of the craft they had patterned their secret fraternity on, while their counterparts north of their border still enjoyed the fellowship of operative masons. In this article I have attempted to the best of my ability to sketch the beginnings of Freemasonry. How well I have done, I leave to the reader. For me the task was one of learning. In writing down what I learned I was forced to draw conclusions from the facts I discovered. That I drew these conclusions for myself does not in and by themselves make them facts; they are my conclusions alone. They are subject to interpretation and modification as new facts come to light. It is said that the universe consists mostly of matter or anti-matter, we cannot see. History too consists mostly of events we cannot see, that were not written down. It is impossible to look back over the centuries and understand exactly what happened and when. We see only faint images in the swirling mists and attempt to make sense of them ever remembering that in doing so we must always bear in mind we may miss far more of the picture than we see.